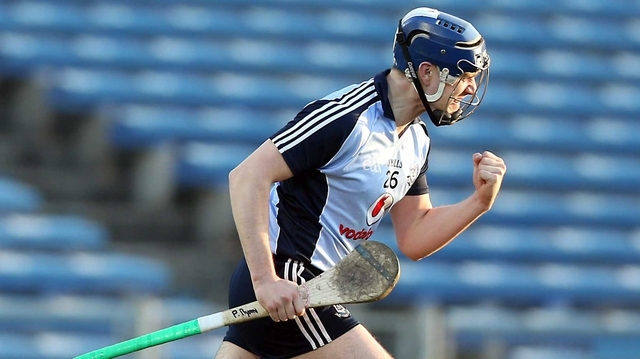 Dublin clinched the NHL Division 1B title and a Division One semi-final clash with Tipperary as they saw off Limerick in a Semple Stadium thriller, 1-16 to 1-15. Paul Ryan eased Dublin four points clear with a goal from a 20-metre free, but Declan Hannon also netted a free, sending Limerick in with a 1-07 to 1-06 interval lead. Ryan finished with 1-08, a point better than Hannon, and it was Joey Boland who popped up with the winning point two minutes from the end, as Dublin, with Liam Rushe performing heroics at the back, held out to win. Dublin goalkeeper Alan Nolan was called into action early on, pulling over a superb stop to deflect Graham Mulcahy’s shot over the bar. He also denied Conor Allis as the Treaty men piled forward, moving into a three-points lead through Declan Hannon, before Paul Ryan landed Dublin’s opening score from a ninth-minute free. Liam Rushe and Peter Kelly started to show some steel in the Metropolitans’ defence and, as they settled into the game, the attack looked increasingly sharp. By the 16th minute, the sides were level, Johnny McCaffrey firing over an excellent score before Conor McCormack equalised from David O’Callaghan’s lay-off. 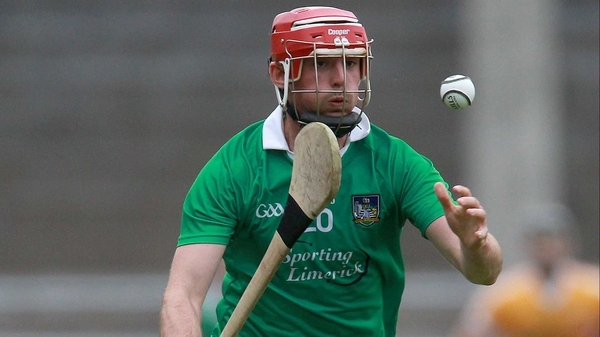 Now it was Limerick’s turn to soak up spells of sustained pressure, and they needed some important interventions from Richie McCarthy and Paudie O’Brien to keep their opponents out. But they were powerless to prevent Simon Lambert from thumping over a marvellous long-range point, the Dubs in front for the first time in the 21st minute. Paul Ryan blasted a 20-metre free to the net for a four-points lead, but a replica score from Hannon inspired Limerick’s revival, and points from Hannon and Conor Allis sent them in with a 1-7 to 1-6 interval lead. Dublin responded with a productive flourish in the opening moments of the second half, Ryan continuing to hit the target from frees, and David O’Callaghan also on target for a three-points cushion. Limerick found another worthy response, hitting five points on the spin, three of them from Hannon frees, with Allis claiming his second and Mulcahy also adding to his tally. Three points to the good going into the crucial final 20 minutes, the Munster side, performing with confidence and composure, appeared to have their destiny in their own hands. But Dublin dug in for one last effort, and rose to the challenge in superb style, with substitute David Treacy and O’Callaghan grafting for possession all over the field. Hard work paid off handsomely as they won frees that Ryan despatched unerringly and, after Seamus Hickey had brought Limerick level, they still found the inspiration to craft a winning point for Joey Boland two minutes from the end. Dublin: A Nolan, P Kelly, P Schutte, R Trainor; M Carton, L Rushe, S Durkin, J Boland (0-01), S Lambert (0-01), C Keaney, J McCaffrey (0-01), D Sutcliffe (0-01), C McCormack (0-01), D O’Callaghan (0-01), P Ryan (1-08 (1-8f)). Limerick: N Quaid, S Walsh, R McCarthy, T Condon, P O’Brien (0-01), W McNamara, G O’Mahony, P Browne, J Ryan, C Allis (0-02), S Hickey (0-02), D Breen, G Mulcahy (0-02), D Hannon (1-07 (1-06f, 0-01 ‘65)), K Downes (0-01).